These guys are used to a little range time, so when Operation Game On troops learn they can enjoy the serenity of a DRIVING RANGE, it’s GAME ON! Thanks to both yours and TaylorMade’s donations, they each have several new weapons to choose from. Our 16 week Operation Game On program requires the help and donations of many partners and sponsors. Contact us to start helping a hero today! Many of our troops suffered serious injuries during their deployments to Iraq and Afghanistan. Yet they can still enjoy an active lifestyle. Let’s get them swinging. Game On! It’s true, golf can assist an injured soldier through their rehab by simply taking their mind off injuries, surgeries and doctors. With golf, body and mind catch that ray of hope when it is needed most. Help a deserving wounded soldier today. Combat-injured troops return home with life-altering injuries and many with PTSD. 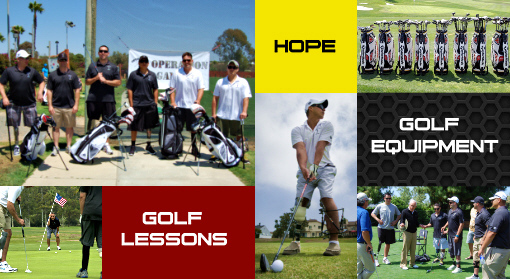 Our charity focuses on introducing these heroes which are physically able, to the game of golf. Why golf? Doctors say golf provides mental and physical rehabilitation which rapidly allows these troops to regain confidence; allowing them to enjoy an active and healthy lifestyle again. Help us in our mission to heal our heroes and donate today! It’s OPERATION GAME ON! 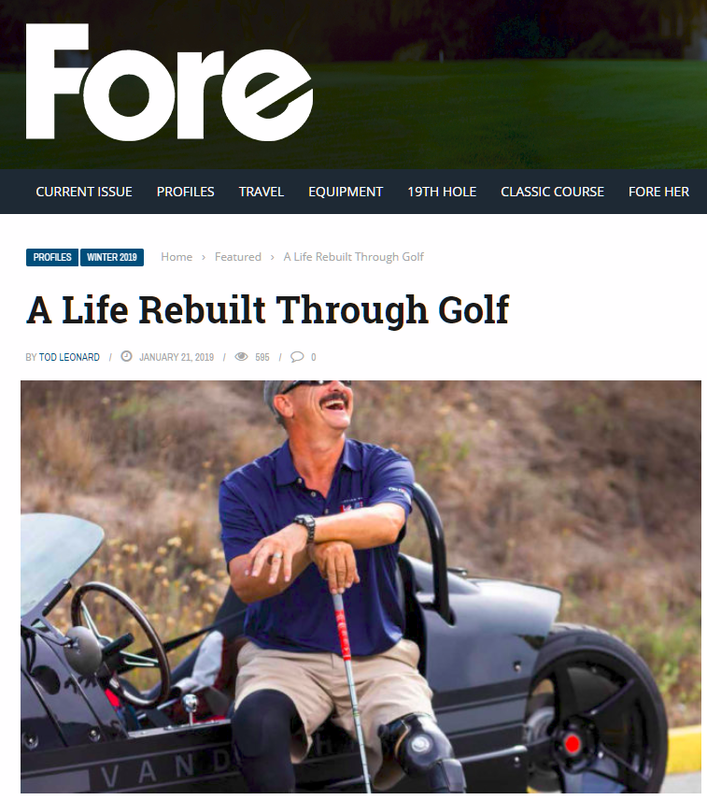 The winter 2019 issue of FORE Magazine provides us an in-depth look at one of Operation Game On’s wounded warriors, Jacques Keeslar. Since 2008 we’ve managed to bring the game of golf to over 500 troops needing the physical and emotional benefits it offers them. Many of our OGO heroes have excelled at the game and none has embraced it and the challenges of golfing as an amputee like Jake. We’re touching the lives of our combat-injured troops one hero at a time. See how two past OGO grads were treated to a very special Memorial Day in Ohio thanks to TaylorMade Golf.